On a recent trip attending an executive education programme at University of California Berkeley, it strikes me how much the retail world has changed owing to technology disruption. Many of my peers in the classroom had started embracing such disruption a few years back and to my surprised many of them are SMEs. As there are more mobile devices than people in the world today, we are staring at more than 50 billion connected Internet of Things devices by 2020. Smart cities, smart homes, autonomous vehicles, and cognitive computing are quickly becoming a reality. New business models built around smart devices, high-speed networks, cloud computing, and data analytics are rapidly emerging. 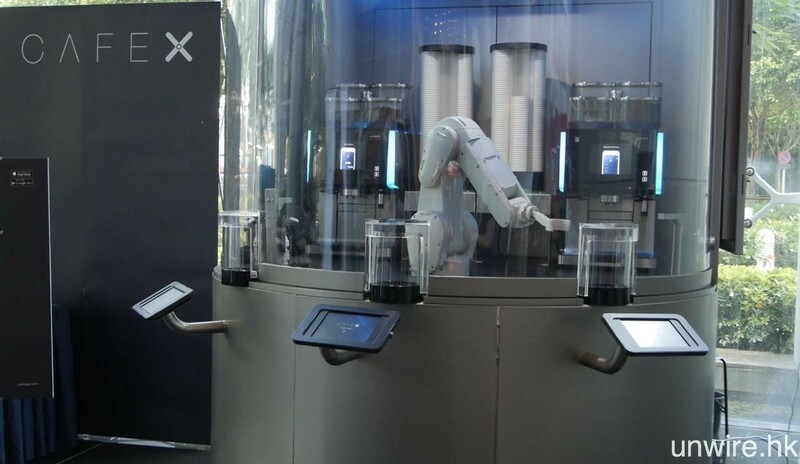 One very good example is the evidence I experienced at the street of San Francisco where a new startup known as Café X using robotic arm to make coffee and serve coffee in a vending machine. We used to see vending machine around the street corner selling can soft drinks or hot coffee/tea and chocolate bar but now a revolutionary approach of robotic arm serving hot coffee in a vending machine in a middle of a busy intersection street. Traditional sources of advantage are rupturing, while new sources of value are forming. That is right, SMEs today needs to create new economy value to complement the brick and mortar business they have right now in response to the disruptive new economy led by IOTs. Generally startups that can singularly focus on new, disruptive opportunities, however, major established SME companies must walk a tightrope. SME must improve productivity in their legacy businesses and build growth businesses that take advantage of disruptions. The age we are living today is the clearest indication that we are no longer waiting for a digital revolution –but instead we are living it in real-time, with the pace quickening each year. Technological advances in artificial intelligence (AI), cloud computing and the Internet of Things (IoT) are cascading across industries, causing wide-scale disruption. This disruption is delivering many new opportunities for organizations and industries, with companies cleverly investing in, and taking advantage of, innovation to increase the success and value of their businesses. A majority of CEOs I spoke to planned to increase their technology spending to help their companies achieve stronger fraud protection, expanded market share and increased sales. These technology investments are spread across four key areas among mid-market companies especially SMEs: big data and analytics, cloud computing, e-commerce and digital payment. These investments are mission-critical to businesses seeking to build a new digital value chain for tech-savvy customers. When SMEs strategising for the future is deciding which technologies to invest in, it depends on the company’s goals. For greater efficiency, cloud services can enable huge cost savings and simplicity in just a few months. To reach customers in new markets, an online presence and expanded payment choices can accelerate e-commerce sales. SMEs companies should also consider innovations that can improve their products and services. For example, many manufacturers are switching to 3-D printing for costeffective prototypes and customized production. Healthcare firms are embracing wearables and genomics. And as blockchain technology develops, there will be new opportunities to increase security and efficiency. The next 12 months we will see more productive investment centered around artificial intelligence to virtual reality because the speed of disruption requires companies to put new technology to work quickly, making technology investment a priority on every CEOs’s agenda, and SMEs needs to embrace these challenges faster than usual. Many SMEs companies have a digital strategy in plan. But to pull off a true digital transformation, it’s crucial to focus on culture and mindset. When thinking of digitisation at scale, there is a tendency to believe that technological capabilities are key enablers. However such myth is not true. Scaling up the success of disruption enablement on the overall business models in actual fact requires an investment in people and culture. That is moving from a few dozen talents in a digital center of excellence to building digital talent at scale and transforming the mindset and culture of their overall organizations. This need for strong leadership from the company. CEOs will have to team up with an operational digital leader with a robust vision, which allows them to “upset the status quo” during the implementation phase. If anyone want to better understand what digital disruption is doing to your business? Look to the underlying economics. To get your head around the new economics of the digital age, look to degrees of change in supply and demand and the disruptions resulted. As the productivity of economies appears to have flat-lined in the last few years in major economies and only a fraction of GDP growth in emerging economies, it is now time to look at digital disruption to catalyst growth for next decade. Besides SMEs, government is also a key driver in driving successful digital disruption. Successful implementation will encourage SMEs to take the bold step to venture into this territory because the traditional businesses still view this area as an expensive investment. Only when the government spend on infrastructure the trickling effect will be seen and felt at the value chain of SMEs establishment. The other important key factor for driving productivity improvement includes improving government productivity that may help to spur private sector’s productivity especially in reducing public debt while results are improved in different policies where the key enablement are; Governments must learn from each other; Technology will play a crucial role in improving the productivity of governments, Also improving the productivity of companies; Furthermore, new services or new ways of providing them may benefit from technology and hence, the government, like many other sectors and industries, can adapt to digital disruption complementing and leading the way for SMEs to adopt them on a wide scale. Chris can be connected thru chris@mdcc.org.my or at twitter account @chrisdanielwong.